Nevertheless some users may prefer to use OpenVPN configuration files and connect to our secure VPN servers using a third party client. 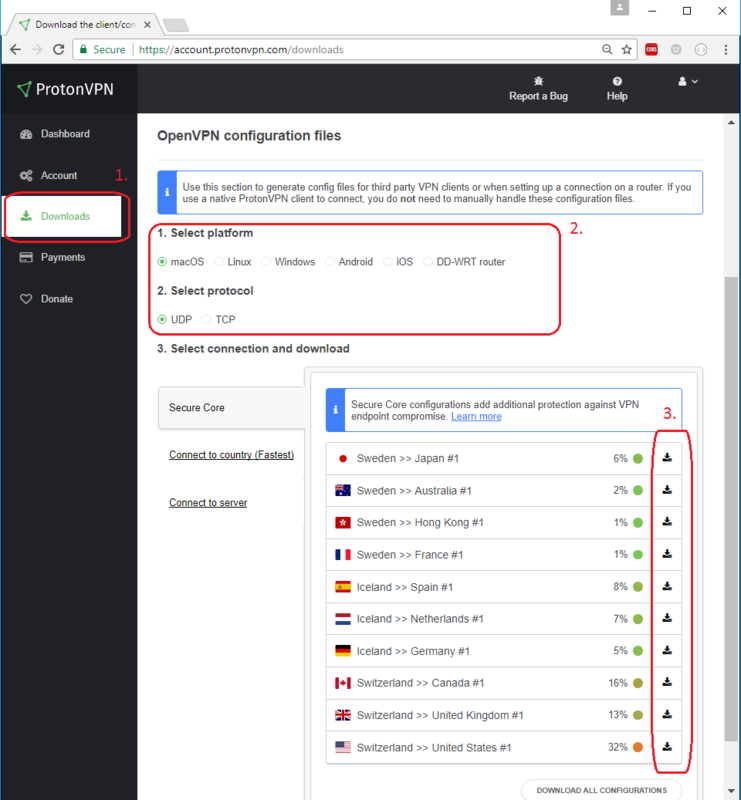 Read on for instructions on how to download ProtonVPN OpenVPN configuration files. Note: If you selected “Download all configurations”, the requested files will be in a ZIP archive – each of the files will contain information on how to connect to one of the ProtonVPN servers. Is the Killswitch enabled in this .ovpn files? If not how to enable it, for OpenVPN (Windows)? Hello Michael, Kill-switch is not in the .ovpn files and will not be. OpenVPN gui does not provide any kill-switch feature, only our Windows application does. Can I download the config files in Headless mode on a RPI (like: sudo wget /and then some link/), or do i have to download them separately on a different device and move them ?